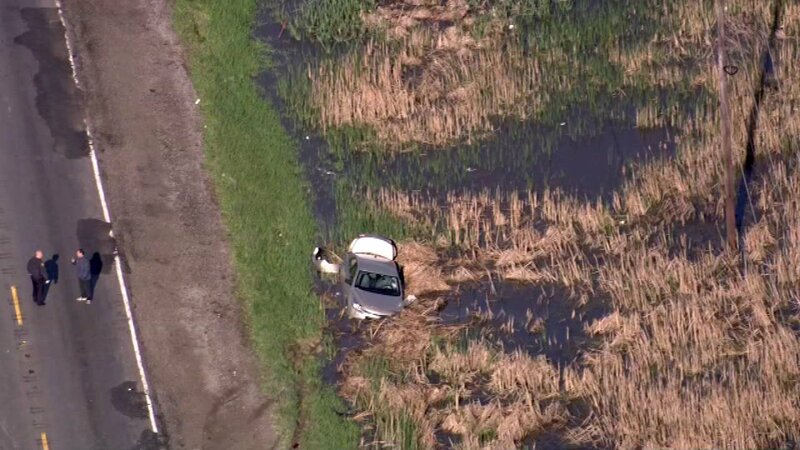 Chopper 7HD flies over a crash on Butterfield Road in Aurora. 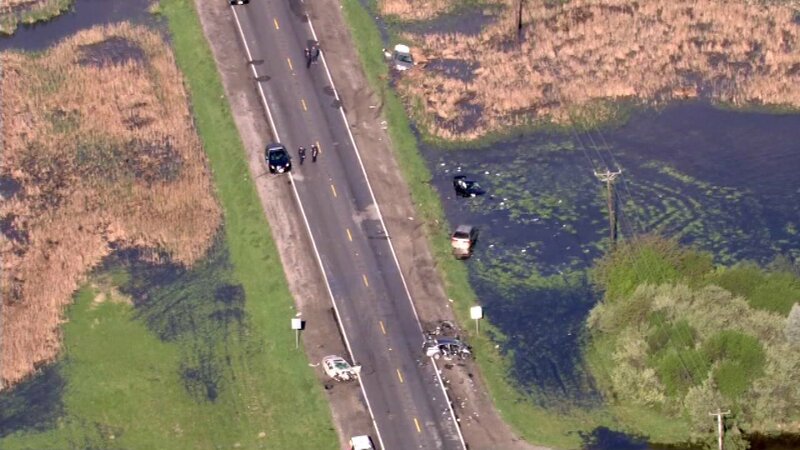 AURORA, Ill. (WLS) -- A 22-year-old man was charged Tuesday in a six-vehicle crash that injured four people, two critically. Investigators said he was trying to pass several vehicles at a high speed. Terrence L. Rush, of the 600-block of Hidden Creek Lane in North Aurora, was charged with improper lane usage. Police said the crash occurred just before 6:45 a.m. Monday on Butterfield Road near DuPage Parkway, about a mile west of Eola Road. The area was closed for about six hours as investigators worked out what happened. Rush was heading east on Butterfield in a 2014 Chevy Malibu when he allegedly tried to pass several other drivers. To avoid a head-on collision, a 60-year-old man from Naperville driving a westbound 2015 Chevy Malibu swerved and the cars sideswiped each other. The 2014 Malibu struck an eastbound 2014 Nissan Sentra head-on, investigators said. The drivers of three other westbound vehicles - a 2008 Mazda 3, a 2000 Honda Odyssey and a 2002 Dodge Caravan - could not stop in time to avoid hitting the 2014 Malibu and the Sentra. 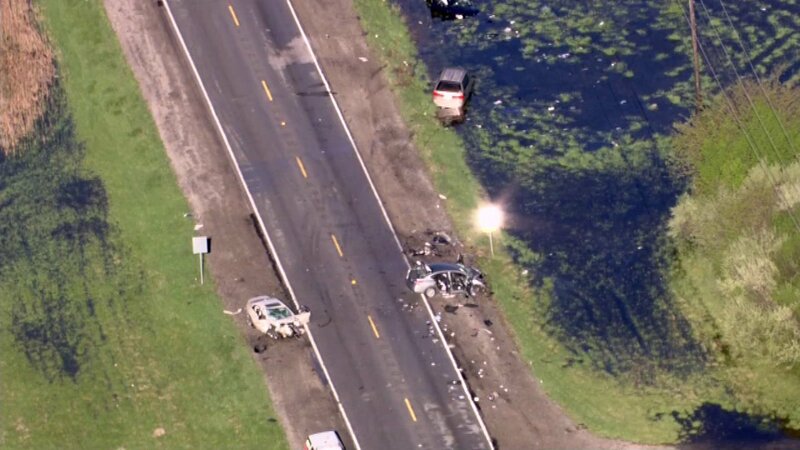 Rush and the 37-year-old Romeoville woman driving the Sentra were critically injured. The woman was airlifted to a suburban hospital. Rush was treated at a hospital in Aurora. The drivers of the Mazda and the Odyssey, a 38-year-old Naperville man and a 33-year-old North Aurora woman, respectively, were treated and released from a different hospital in Aurora. 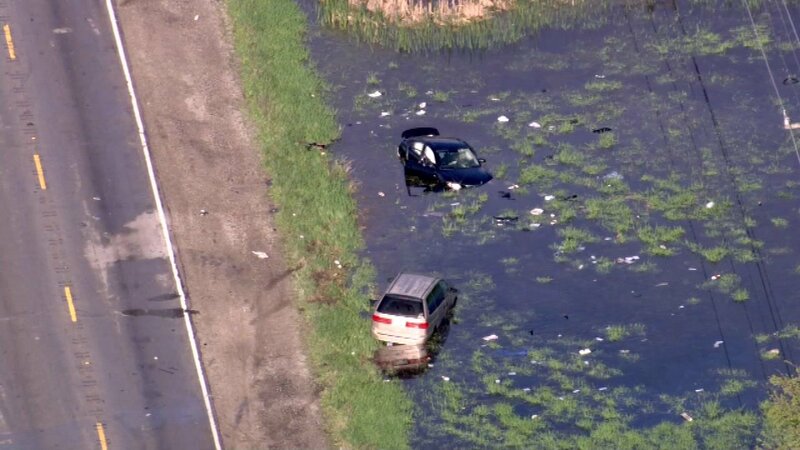 Police did not release information on whether the driver of the 2015 Malibu or the driver of the Caravan, a 32-year-ol man from West Chicago, were injured in the crash. Investigators said there was no sign of impaired driving at the scene. The Aurora Police Traffic Division investigating with help from Aurora Police evidence technicians.